Twin Cities Summer Jam presented by Mystic Lake is coming to Canterbury Park July 18-20. Featuring Tim McGraw, Aerosmith, Pitbull, and more! Rock, Pop, & Country Come Together for the 3-day Music Festival in Our Own Backyard! The three-day music festival is the only one in the Twin Cities and the upper Midwest that combines music formats – rock, pop and country – every night. 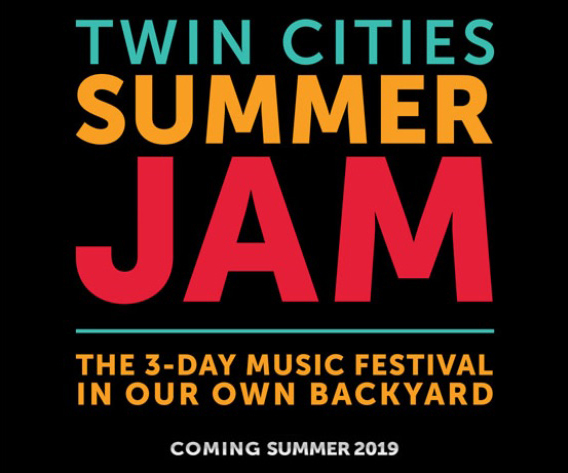 Twin Cities Summer Jam presented by Mystic Lake will kick off with a Thursday night of country favorites and classic hits. Friday night, rock icons Aerosmith will headline with a special guest still to be announced as their opener. Saturday night, music superstar Tim McGraw will headline following a performance by international artist Pitbull. The two, who’ve previously collaborated on a national TV special, will be performing in concert on the same stage for the very first time. Newcomers, Hobo Johnson & The Lovemakers will play before Pitbull. Twin Cities Summer Jam presented by Mystic Lake is also proudly supported by Bell Bank, Bud Light, iHeartMedia, Kwik Trip, and Gray Duck Vodka. UPDATE: Tickets go on sale at 10 a.m. Friday, March 8. Click here for ticket information and more details. • 2 complimentary drinks tickets for cocktails, beer or wine per person per night with reduced price cash bars in VIP Hospitality. All non-alcohol beverages are free.